Those who can’t get enough power pellets in their gaming diets may want to keep an eye toward the end of the year. Namco Bandai Games Europe has announced that Pac-Man Museum, a collection of the iconic yellow puck’s games from the original 1980s classic to more recent titles including Pac-Man Championship Edition and Pac-Man Battle Royale. The latter allows up to four Pac-Individuals in competitive play, mastering mazes while dodging ghosts and each other. Pac-Man Museum has been slated for the Wii U and 3DS eShops in Europe and Australasia, with versions for Xbox Live Arcade, PSN and Steam also being made. There is currently no word on a North American release. A new Pac-Man title known as Pac-Man And The Ghostly Adventures is coming to Wii U and 3DS later this year. Is this museum something you'd be interested in? Sound off in the comment section below. Yay - this is what I've wanted, not some NES port! That sounds perfect! I need Pacman on the go and I've always wanted to try Championship Edition! @Dr_42o It's a continent formerly known as Oceania. 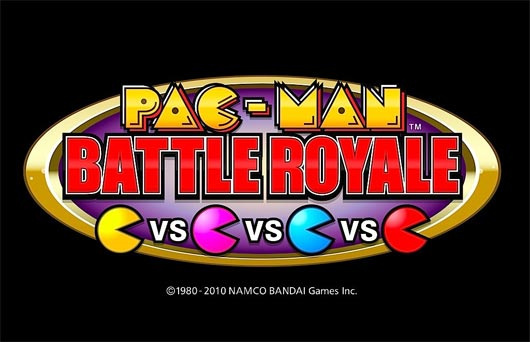 Pac-Man Battle Royale? Wow. I never thought we'd see a home port. This game is so much fun! I've travelled to sea-side arcades to play Battle Royale, so it'll be nice to get a home version for Wii U. Perfect match. Needs more Pac-Man Versus. I'll DEFINITELY buy it if they make sure to include that one on Wii U.
I've been hoping for something like this since before the Wii U even launched. My wish is granted. My body is ready. Quick question guys/gals. Will this game have that recent arcade gameplay of Pac-Man where everyone is battling? That game is fun as hell! Pac-Man Versus needs to come to the e-shop somehow. Nice! I'll be sure to get this. CE DX better be on this. It'd be nice if it literally had every Pac-Man game ever made on it/available but I'm not holding my breath. Namco never seems to utilize their entire library. I'm sick of playing the OG Pac-Man. Also, I hope these have leaderboards. I'd get Pac-Mania for that. I'll look into this...love me some Pac-man. if pacman by itself will is 5 dollars how much will this be? Another vote for Pac-Man VS. over here! They could recycle assets from Championship Edition to make it if they can't just use the GameCube original. Pac-man Championship Edition was awesome on the 3DS. I hope they have the DX version on here instead. I had Pac Man Championship Edition DX for my PS3. Best Pac Man EVER! Never would have expected this. This had better have Pac-Man Arrangement or it's a no-go for me... I already have Pac-Man and Pac-Man Championship edition on 3DS. 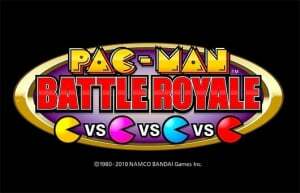 Battle Royale isn't enough for me to want another Pac-Man game. What, no North American release? Oh, come on. I would've been all over this, provided I had leftover cash when Earthbound comes out. This will be getting an American release. The 3DS version is probably going to be watered down, but still good. Hopefully, The Championship edition with the DX version. Pacman [arcade] and Pacman Championship Edition from Pacman/Galaga Dimensions (3DS) are awesome. This... actually seems quite good. NA release pls? As long as it includes PacMan CE, I'm in, that's the best version so far! That's a nice price! Definitely buying this, I like game collections. OMFG YES AND MORE YES!!!!! Dave & Buster's has Battle Royale and finally, not just WIi U and 3DS, current gen (XBox 360 and PS3) consoles as well!! This HAS to come out in the states! Great! 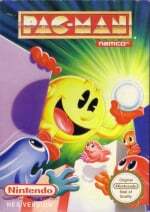 Does anyone know if there's a chance Wii U version could include Pac Man VS? I mean, the gamepad just SCREAMS Pac Man VS. It did from the day of announcement, to me at least.